Social media sites are perfect for the big sporting events because people love to chat about the games that they have witnessed. This means that Facebook and Twitter will be buzzing in the next few weeks as basketball fans around the world discuss the NCAA March Madness tournament. 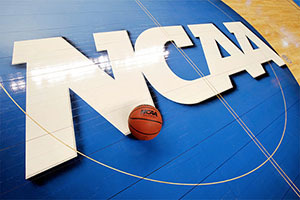 However, these sites are becoming more and more intertwined with the big event and there will be plenty of options to get closer to March Madness than ever before. Turner Sports is the company behind the media rights for the event and they recently agreed a deal with YouTube which lets the video giant create a March Madness channel. This will show highlights of all the games after they have been concluded while there will be live showings of press conferences, previews of games and a lot of additional content. There has now been a further announcement by Turner Sports that they have reached an agreement with Facebook which will provide a live stream of Selection Sunday. There will also be an official March Madness page on the site, which will provide fans with a quick and easy to connect with the tournament. Turner Sports will host a fan event at SXSW in Austin, Texas, on March 15, from its ‘NCAA March Madness Bracket Lounge’ and will stream it live on Facebook starting at 6 p.m. CT. That will follow the unveiling of the 2015 NCAA March Madness tournament bracket on CBS. The show on Facebook will be hosted by Matt Winer, a regular face for Turner Sports viewers and he will be joined by Rick Fox and model Demaris Lewis. The Bracket Lounge will be a great way to get to know the teams and their routes to the championship title, but it is set to be a fun show as well. There is no doubt that social media sites have transformed the way that people engage with each other and although these sites are not allowed to show live action, many fans will be logged in and commenting throughout the games. There are plenty of other ways for people to watch the games when they take place through TV or streaming so the fact that YouTube or Facebook aren’t allowed to show games live isn’t really too much of an issue. Facebook is ramping up its focus on sport and this deal with the NCAA comes on the back of having agreed a deal with the NFL to show video footage and highlights of games. Having an instantly recognised home of sports on these channels will ensure that Facebook is seen as the platform for sports fans. The time for talk and discussion is almost over and with it being Selection Sunday, basketball fans all around the world are getting ready to jump into action and start finalising their plans and predictions for the 2015 March Madness. When it comes to full on sporting action, few things are more exciting than the Big Dance. 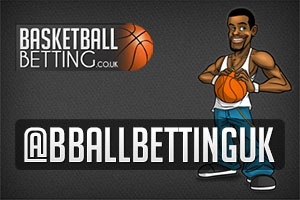 You can also follow Basketball Betting on Twitter @BBallBettingUK.